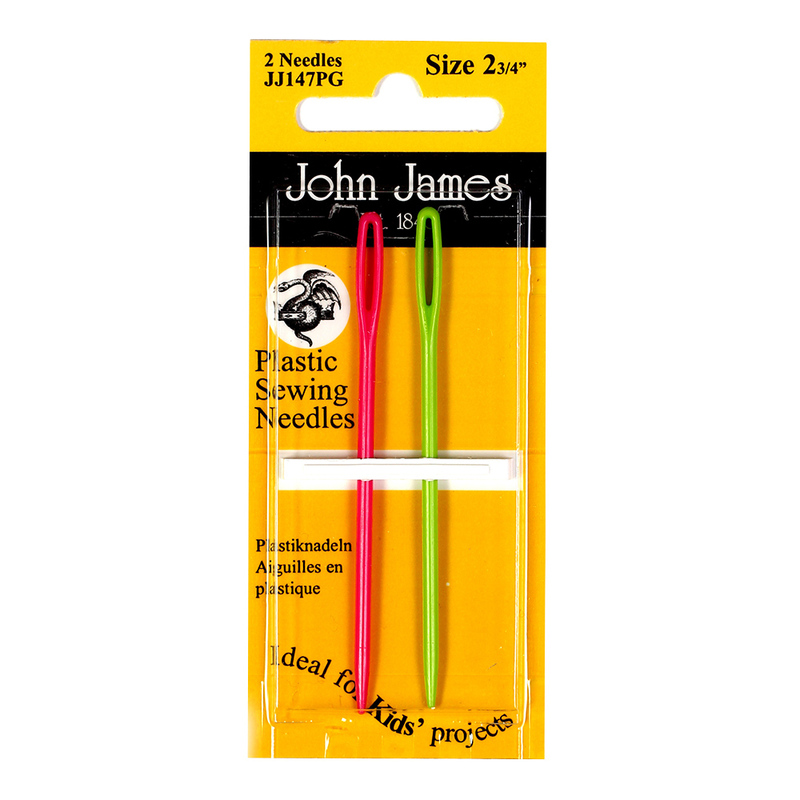 Here we have 2 plastic sewing needles that are ideal for children to use in all sorts of projects. They come in pink and green with a large threading eye for threading yarn, soft cotton and embroidery sewing thread. The blunt points protect small fingers whilst sewing. Also available in blue and red. Why not teach your child to sew...just like mum?